Iran, March 25, 2019 - Floods that began in northern parts of Iran earlier in the month are quickly propagating to other areas in Iran. At least 25 provinces have been affected by the floods. The worst-hit provinces include those on the shores of Caspian Sea, the skirts of the Zagros mountain range, central and southern Iran. Shiraz is one of the worst-hit regions. At least 120 people have been reported dead as a result of flash floods pouring into the city. Videos shows cars with passengers being carried away by water torrents. At least 200 vehicles have been destroyed by the floods. Floods continue in Golestan province, northern Iran. Gorgan Airport has been flooded. In Khuzestan, floods have covered large parts of Arvandkenar. So far, the Iranian regime is refraining from declaring official stats on the damages caused by the floods. Mismanagement by the government has exacerbated the situation and relief efforts are mostly being carried out by local activists and the people. Mrs. Maryam Rajavi, the president-elect of the National Council of Resistance of Iran, extended her condolences to the families of the flood victims and called on the courageous youth of Iran to help their disaster-stricken compatriots. 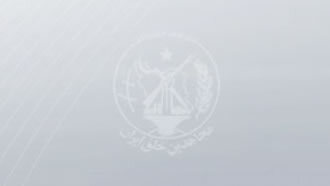 I urge the general public and particularly the courageous youths, in #Iran to rush to the aid of the residents of Fars, #Lorestan, #Golestan and Sistan and Baluchestan provinces hit by flood. Mrs. Rajavi stressed that the mullahs’ regime, its corrupt leaders and the Revolutionary Guards (IRGC) have intensified the effects of this destructive flood through by destroying the environment. The mullahs have rendered the Iranian cities and villages to ruins by plundering the people’s belongings and wasting them in projects of repression, terrorism and war mongering as well as anti-Iranian nuclear and missile programs, depriving them of the least infrastructure to defend against natural disasters like earthquakes and floods, Mrs. Rajavi emphasized.